The brakes of your vehicle need to be in the right working condition to ensure a safe drive. You need to choose a reliable auto brake repair shop whenever any brake services are required for your vehicle. 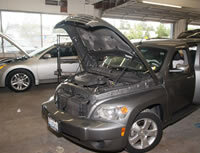 Lakewood Auto Body is a reputable auto brake repair shop that offers quality services for Tacoma, WA residents and their vehicles. When you are looking for the best place to have brakes worked on, you can rely on us. Our technicians with check your brakes and the braking system of your vehicle, let you know the problems they found and provide a written estimate of the costs to fix those problems before any work is begun. There are several auto repair shops but not all are efficient enough to handle the complex job of repairing or replacing the brakes. You must choose a professional auto brake repair shop that has the equipment and the experience to handle repairing or replacing the brakes on your vehicle. At our auto brake repair shop vehicles undergo a detailed and thorough brake system inspection. 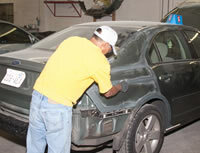 Our auto repair technicians will find the exact cause of the signs you are noticing. They will then repair or replace your brakes, making sure you now have a safe braking system on your vehicle. We are not only the most reasonable place to get brakes done but also the best. With us as the company taking care of the brakes of your vehicle, you need not worry about anything. Whenever you believe there is a problem with the brakes of your vehicle and you want the assistance of an experienced company to repair or replace your brakes in Tacoma, call Lakewood Auto Body at (253) 581-0220.